NCS stopped the meet because of the air quality after the three largest school size divisions were run and had a committee pick who would go on for the two smallest school size divisions. Vintage’s Manny Guzman lead at the half way point with five other runners in the lead pack at 7:24. De La Salle’s Connor Livingstone was second then and would be the only one of the group who could hold that pace for the second half to win in 14:46. Guzman would finish fourth to qualify for state in 15:05. Vintage junior Dylan Frye earned the final state individual qualifying spot by a mere 0.3 seconds in 15:41. Maria Carrillo qualified for state behind Campolindo 47-56. 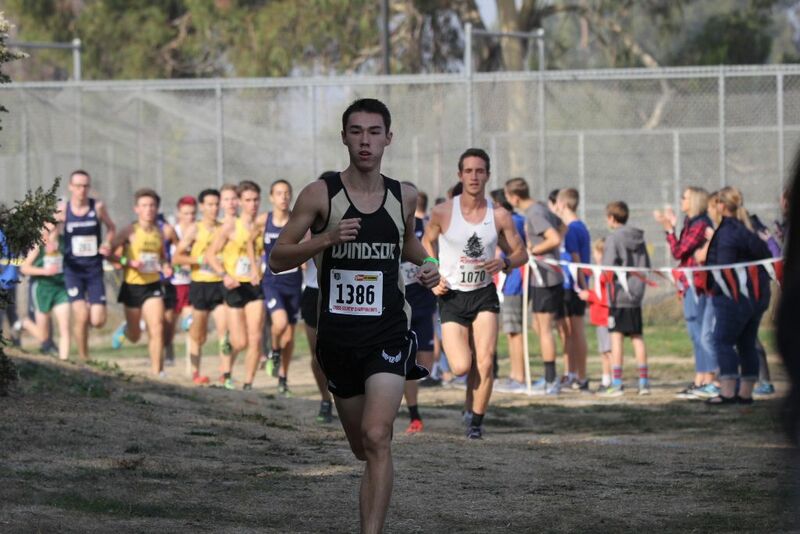 As expected Redwood’s Liam Anderson won in 15:03 but trailed Windsor’s Lucas Chung at the midway point by 3.3 seconds. Chung would earn his state berth with a second place 15:07 time. Maria Carrillo was lead by Colton Swinth and Rory Smail who both ran 15:27 for fourth and fifth places. They were the fastest non-seniors in the race.